The below exhibits are the work of the Matamata Historical Society. There are five interconnected themes. 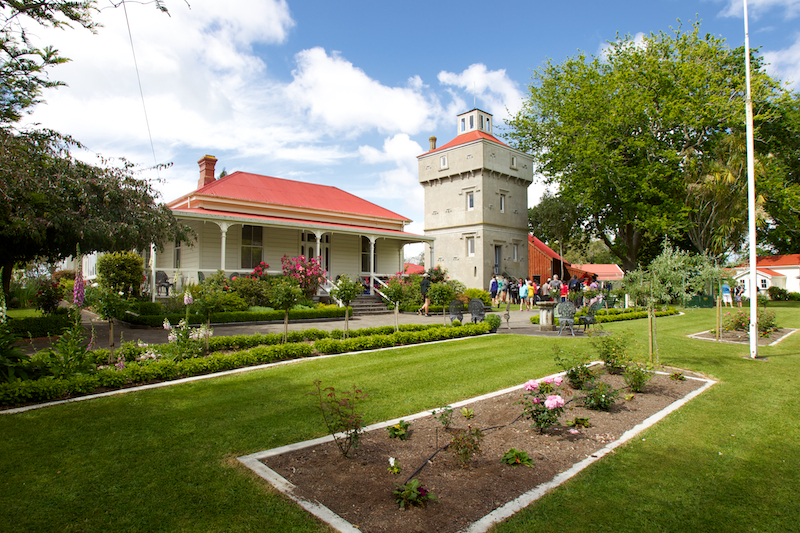 The museum occupies the site of the headquarters of the Matamata Estate, covering 56,000 acres. The estate was established by Auckland entrepreneur Josiah Clifton Firth. The present homestead (1902) replaces the old station homestead (1879) that was razed by fire. 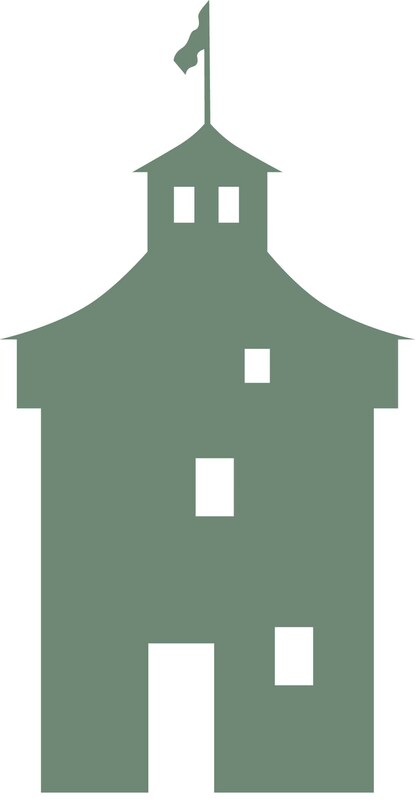 In 1904 the estate was divided into 117 farms and the then manager, John McCaw gained the Tower Farm. The front rooms of the house and the kitchen, dairy and laundry, have been furnished in the style of the late 1880’s when the McCaws began their residence. Firth built the tower on this site in 1882. The tower is 16 metres high and is one of the earliest reinforced concrete buildings in New Zealand. The tower was refurbished as the centrepiece of the museum in 1978. The lookout was rebuilt in 1990 by Stanley Construction. Wiremu Tamihana Tarapipipi Te Waharoa is famous in New Zealand history not only as a statesman but as ‘The Kingmaker.’ A devout Christian, he worked to achieve peace. He died on 27th December 1866, 100 metres west of here. Firth erected a monument there that was later destroyed. The permanent memorial you see today was erected in 1966 on the same spot as the original, but was moved here in 1978 to protect it from vandalism. The church retains the calm and serenity of its previous life. It is available for hire for weddings, funerals and christenings. It was built in 1914 in Broadway, Matamata; closed in 1972 and moved here in 1978. This was brought from Okoroire and contains post office equipment spanning 100 years of communications development. Situated in the back of the old post office you will find our pre-loved books shop, another function of a post office in days gone by. The school opened in 1893 and has had a varied history, having both name change and change of location before being brought here in the early 1980s. The school is often opened for 1900s school lessons. This jail was built in 1892 in Karangahake and moved to Matamata in 1920 where it served until 1950. Moved from ‘behind the butchers shop’ in Waharoa, this cottage is funished as a workman’s home of the 1900s. Here you will find exhibits of the “drowned” Hora Hora Dam, Matamata’s doctors, dentists and hospitals, the history of movie going in Matamata and Waharoa, the Kaimai NAC disaster and late 19th and 20th century wars. There are interesting displays of horse transport, delivery and passenger vehicles. Firth Shed houses exhibits of tractors, tree felling and blacksmithing, the geology of the region, early recreational interests and the milk and cream industry and factories. This is a typical woolshed complete with yards, displays of shearing equipment, a fleece sorting table and wool bales. View the new exhibit "From Horse to Tractor" in Madill Shed. Everyone welcome. Thanks are due to Matamata Historical Society members who have worked over two or three years to complete this major asset for the museum. Take a self guided walk in the big shed taking you from post European Maori agriculture to the early motorised machine age. The newest building on site since March 2015. You will find exhibits showcasing milking over the ages, from early 1900s to present. You can also view the Waharoa Cheese Factory exhibit. The original stables for the station homestead. A typical 19th century farm vegetable garden complete with the spare roses and other flowers from the homestead “front garden.” The Potager Garden is maintained by Bruce and Maureen Massey. The orchard by Colin and Gabrielle Kemplen. Houses an interesting collection of photographs. The room may be used by groups for meetings and/or for tea/coffee. Charges apply-booking essential please enquire at reception. This is housed in one of a pair of railway goods wagons. Via photographs and models one wagon shows the history of the excavation of the tunnel and of the men who worked on it. In the other goods wagon there are two model railway layouts owned and displayed by the Matamata Railway Modellers Club. MRMC hold open days on the 4th Sunday of each month. Everyone is welcome to come and see the model trains run - entry free. If you have trains and nowhere to run them, bring them along and use our tracks. MRMC now completed a new diorama of the Kaimai Tunnel and approaches with working trains.